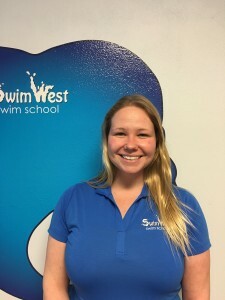 Aquatics has been a way of life for Nikki since she was a baby and she continues to share her passion for water and everything about it to this day! Nikki began swimming competitively with her local Milwaukee YMCA at age eight and continued to swim and compete throughout high school. Butterfly is and always will be her stroke! At age 16, she got her first job as a Lifeguard for Milwaukee County Parks and has remained certified since. Guarding and watching swim meets was always her favorite time to be at work! During the Girls off season she managed the Boys Swim Team for Whitnall High School and started teaching the little ones at the Y. Later on, she even became the coach for the very same Southwest YMCA swim team she use to swim on! Coaching and sharing her love for competitive swimming is one of Nikki’s greatest joys in life. She is proud of all of her swimmers and takes pride in watching their hard work pay off. Kyle was born and raised in the state of New York and born in the small town of Hilton, New York. He graduated from Hilton High School in June of 2013. During his years in middle and high school he was constantly in the pool. From 7th grade all the way through his senior year he was on the swim team. His senior freestyle relay, which included himself and three of his best friends, broke the record for the fastest relay in Hilton’s history! The biggest question he gets asked is, “Why did you choose Wisconsin?” The answer is that he came here to pursue his dream of becoming a Radiology Technician. He is currently a student at Madison Area Technical College. When he came to Wisconsin his Uncle told him about SwimWest Swim School and told him to apply because he said it would be perfect for him. He couldn’t have been more right! SwimWest has given Kyle the opportunity to take his love for kids and his passion for swimming and combine them into one fantastic job. 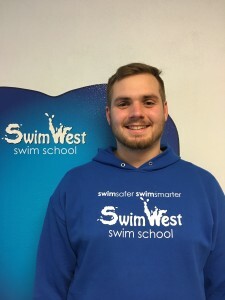 He believes that his greatest teaching strength is being able to connect with each and every swimmer and make lessons new and exciting each lesson, regardless of the level. He is also Lifeguard, CPR and AED certified through the American Red Cross. Even though his free time is limited due to school and teaching, Kyle likes to spend his free time playing football with his cousin Luka. To all of his students and future students, Kyle wants everyone to remember to try your best in everything that you do and the possibilities are endless!